Them: Don't you love me? You: Yes, and if you love me, you’ll respect my choice. / Yes, but I want to get to know you better. Them: My friends think we should have done it by now. You: They don’t know what’s best for us / You should care more about what I think - and I don’t agree! Them: C'mon, let’s just do it! You: If we wait until we’re ready, it’ll be much better. Them: If we don’t do it soon, I’ll explode! You: Perhaps drinking cold water will ease that problem! Then you can relax and take your time with me. Them: But you’re 16! You: Just because it’s legal, doesn’t mean I have to / I’ll decide when I feel ready - and I’m not ready yet. It is my sexual right. No, it doesn’t feel right! Boys, remember if a girl says ‘no’, it’s ‘no’! And girls, remember it is your right to say ‘no’! 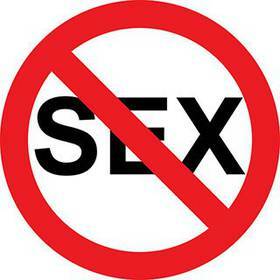 One does not have to say no if they actually want to engage in sexual activites. If you don't feel ready voice it out if you do, then it's your choice.